In Finch, mysterious underground inhabitants known as the gray caps have reconquered the failed fantasy state Ambergris and put it under martial law. They have disbanded House Hoegbotton and are controlling the human inhabitants with strange addictive drugs, internment in camps, and random acts of terror. The rebel resistance is scattered, and the gray caps are using human labor to build two strange towers. Against this backdrop, John Finch, who lives alone with a cat and a lizard, must solve an impossible double murder for his gray cap masters while trying to make contact with the rebels. Nothing is as it seems as Finch and his disintegrating partner Wyte negotiate their way through a landscape of spies, rebels, and deception. 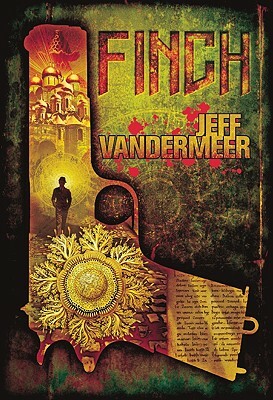 Trapped by his job and the city, Finch is about to come face to face with a series of mysteries that will change him and Ambergris forever.